PVC is an investment and investment advisory firm. 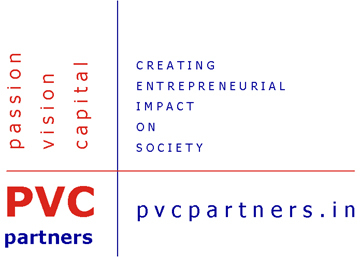 PVC acts as a Venture Accelerator, Investor and Partner to early-stage businesses. (Head over to the Accelerator website, if you want to apply for one of our cohorts). As an investment advisory firm, PVC works on the buy-side and on sell-side mandates for small to mid-sized businesses. At this stage we are looking at investing in companies based in the National Capital Region of Delhi, India. Our approach is to look at individuals and teams, not business plans. What we expect is Passion, Integrity and Trust. We want people who are passionate about their business, and believe in the impact they can create. You should be very willing to have other hands-on team members as well as advisors on board to help accelerate the business. The company must have an existing portfolio of services and clients, no matter what the scale is. PVC brings in over 50 man years of hands-on experience, credibility, relationships and integrity along with stories of successes and failures, passion, insights and perspectives that are immensely valuable for small companies and possibly impossible to hire. We have been entrepreneurs and management professionals, grown businesses from scratch, and now believe we can support others do the same. PVC would facilitate acceleration through technology, processes and financial infusions. At the appropriate time we would move to the next stage of interventions and infusions, by bringing in new relationships through prospective new partners, VCs and others.